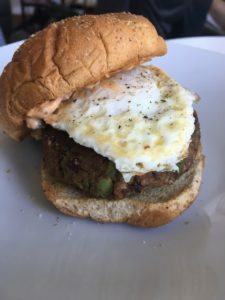 This blog is dedicated to high fiber black bean burgers! One of the most underrated super foods in my opinion is the black bean. First let’s look into the nutrition content of black beans. Improve digestion and overall circulation. Increase satiation (the feeling of being full). How you can include black beans into your diet? The next question is how do I include these nutritious beans into my meals? One of my favorite ways to incorporate beans into my diet is through black bean burgers! 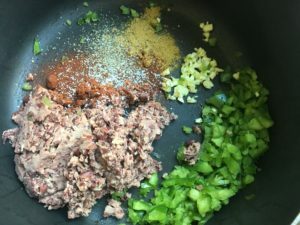 They’re basically just mashed up beans seasoned just as you would meat, and cooked any way you prefer. First: Combine garlic, onion, and green pepper into a food processor until well chopped. Wrap veggie blend in paper towels and squeeze out excess moisture. Remove as much water as possible or the burgers won’t stick together. Then: Combine beaten egg to the bowl. Mix in bread crumbs. Form mixture into 4 or 5 patties. To grill, place burgers on a well greased grill and cook fro about 4-5 minutes on each side. In the oven bake patties at 375 degrees F on a lightly oiled baking sheet, for 10 minutes on each side. Using a grill pan, cook for 4-5 minutes on each side. Now for mine, I personally like to make a homemade chipotle mayo but you can always buy your own or add different preferred toppings. Try out this chipotle mayo sauce to top your burgers whether they be beef, turkey, or black bean! Serve with burgers on a bun topped with lettuce, tomato, cheese, avocado, or any other desired toppings! Enjoy! 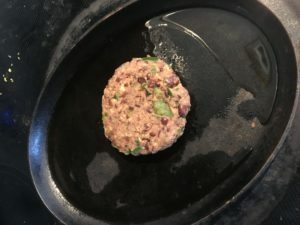 Join us on our next Facebook Live episode coming up on 2/2/19 at 11am featuring this Black Bean Burger recipe with Registered Dietitians Klara and Kaitlin will be whipping up a batch of these black bean burgers! An RBA favorite! Black bean burgers are loaded with protein, and are so cheap. That's right. Eating healthy can be cheap. Hence why this is our favorite. Heat a grill or grill pan over medium-low heat. In a food processor, pulse onion and garlic until finely chopped. Add one can of black beans, cilantro, parsley, egg, and red pepper flakes. Pulse to combine. Transfer mixture to a large mixing bowl; add the remaining can of black beans and the breadcrumbs. Season with salt and pepper - to taste - and mix until well combined. Divide mixture into four and form into patties. Place on hot oiled grill over medium-low heat and cook about six minutes per side or until heated through. Toast hamburger buns on a grill. Place a burger on the bottom of each bun. Top with lettuce, tomato, and ketchup. Cover the burgers with the top of the bun and serve. Enjoy!